This guide illustrates how to compile and setup KDE 4.0.2 Stable release on a Fedora 8 Werewolf desktop. For instructions on building the latest version from trunk, refer to the official KDE Techbase article at http://techbase.kde.org/Getting_Started/Build/KDE4 and Go2Linux forum guide at http://www.go2linux.org/forums/how-to-install-kde-4-on-fedora-t-8.html. Some of the steps in this guide are taken from the above sources and credit should go to respective authors. 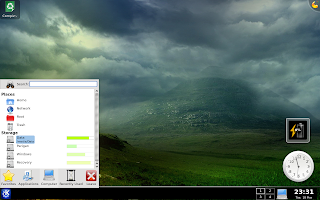 Create the directories for the KDE install. I chose to setup KDE in the /opt directory. su -c "mkdir -p /opt/kde4/kde/src"
su -c "chmod 777 /opt/kde4"
Comment out the Qt section entirely. We are not building Qt from source. Assuming you didn't have anything in .bashrc before you copied over the .bashrc from KDE.org, scroll down to line 52 and make the following changes. Now lets install some of the prerequisite packages. Finally it's time to build everything. The magic command is cmakekde. I illustrate the process below for kdelibs. If you're building other packages, the process is the same and the order does not matter. 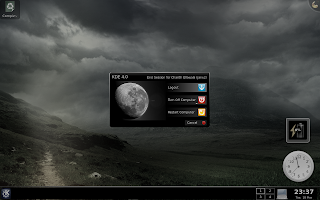 Assuming the build process went without any glitches, it is time to setup KDE4 as a login session. 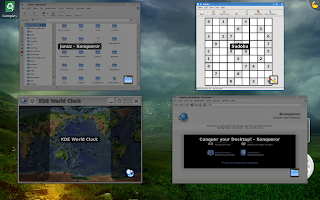 su -c "cp /opt/kde4/share/apps/kdm/sessions/kde.desktop /usr/share/xsessions/kde4.desktop"
Now you're all set. 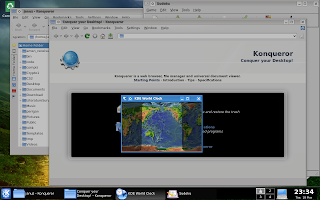 Logout from the current session and login again, but this time select "KDE4" as your session. Press Alt+F2 and type "system-settings" without the quotes and press enter. Some mouse gestures also work. 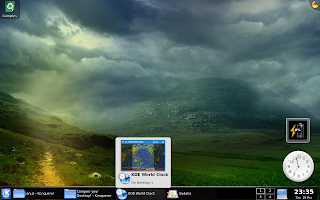 For example, move your mouse over to the top left corner to get a Mac Expo like effect. I am sure there are many more, but this should be enough to get you started. Have fun !